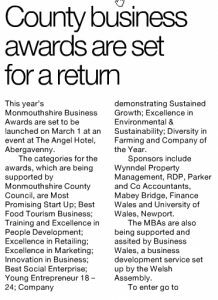 Media coverage for the Monmouthshire Business Awards 2013 is now appearing ahead of the event’s official launch.Various publications in and around South Wales have thrown their weight behind what has previously been described as the ‘Oscars of the Welsh business community’. 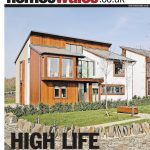 The Awards’ official launch takes place on Friday March 1 at the Angel Hotel in Abergavenny. A wide variety of guests, category sponsors, VIPs and former winners are expected to attend.